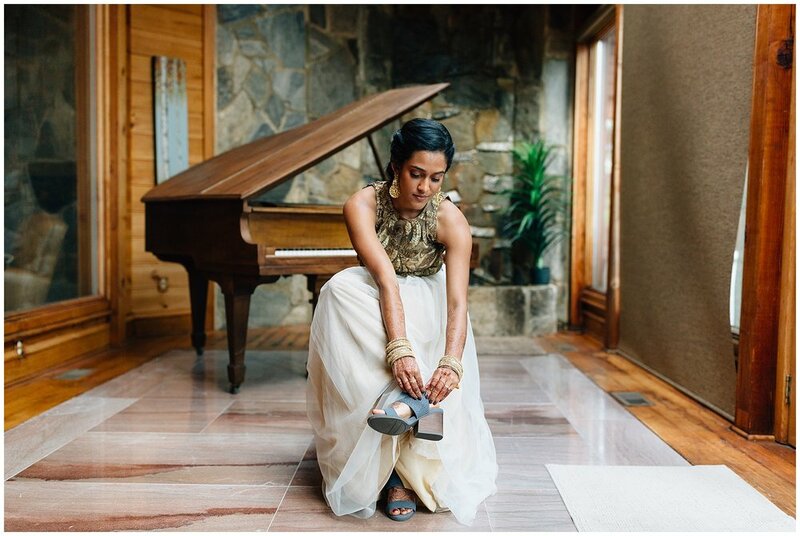 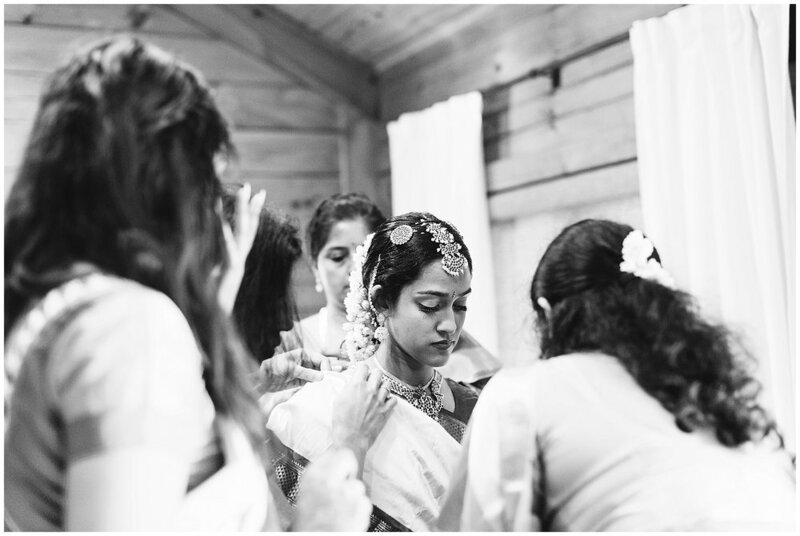 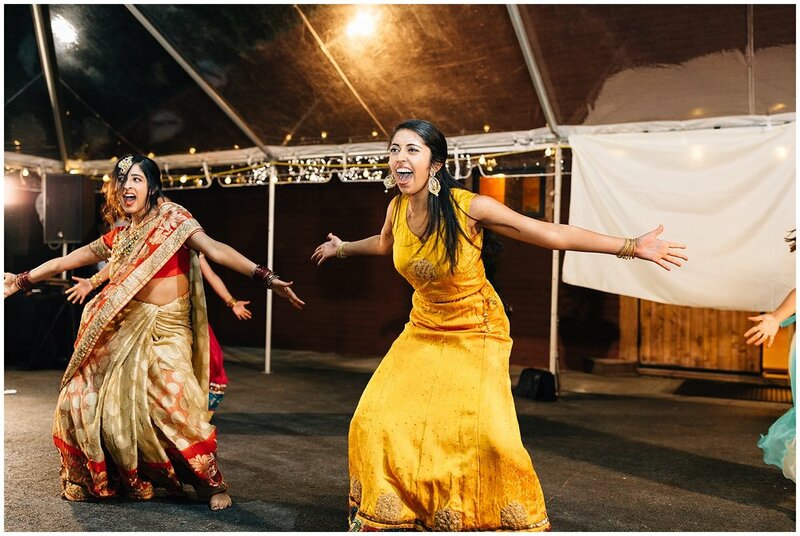 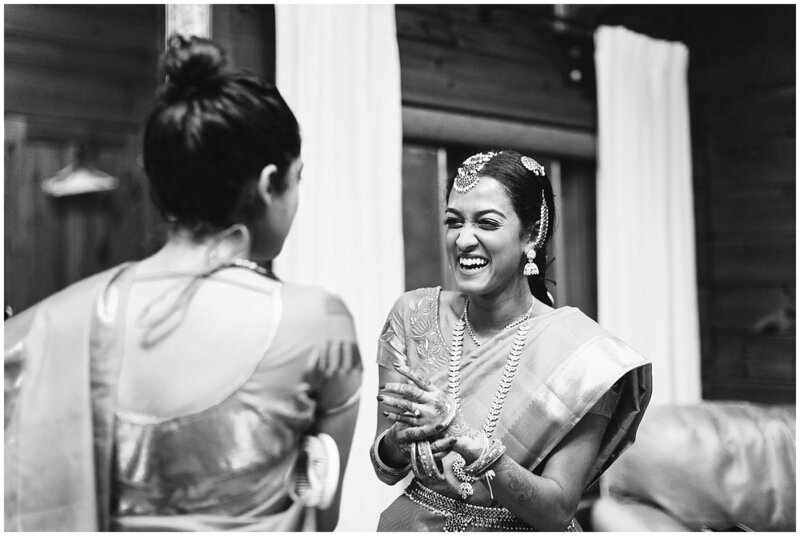 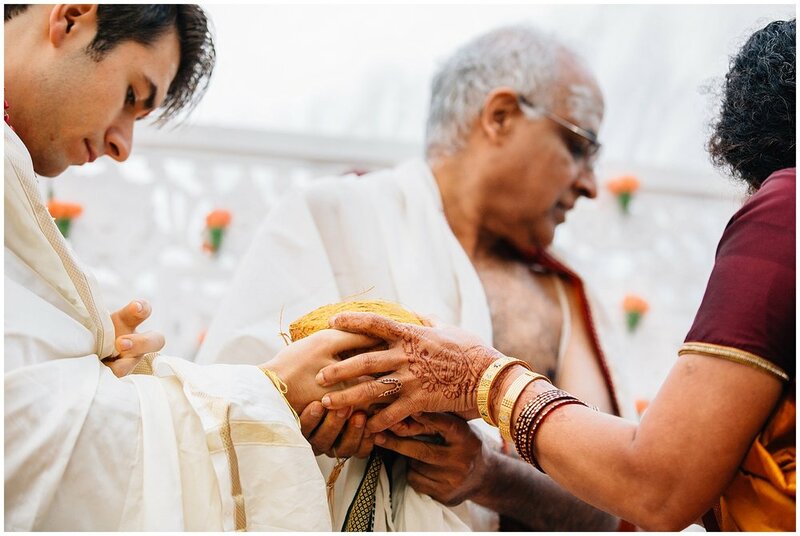 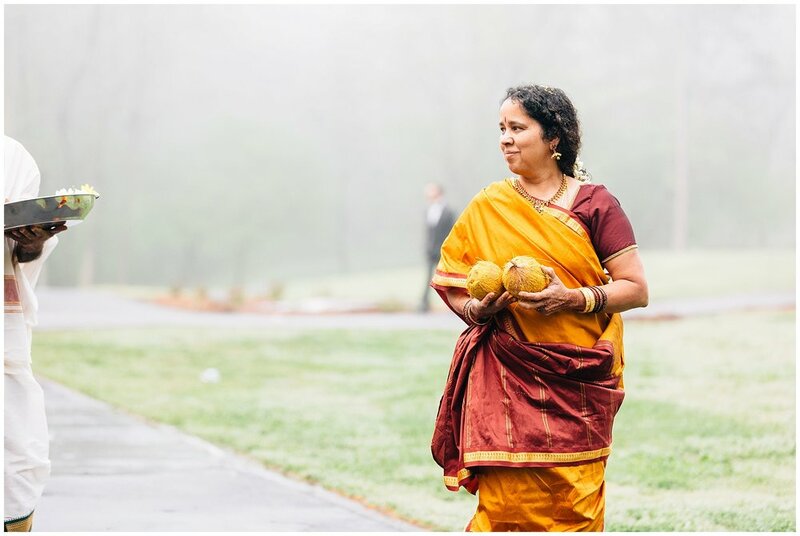 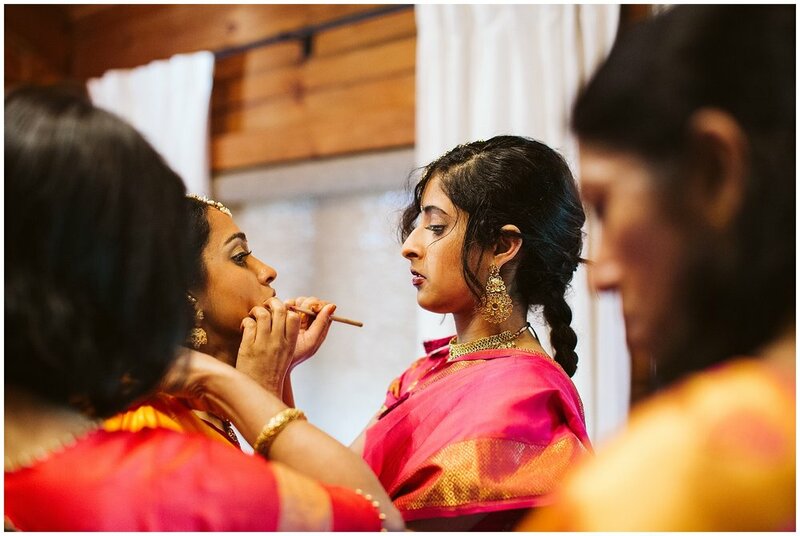 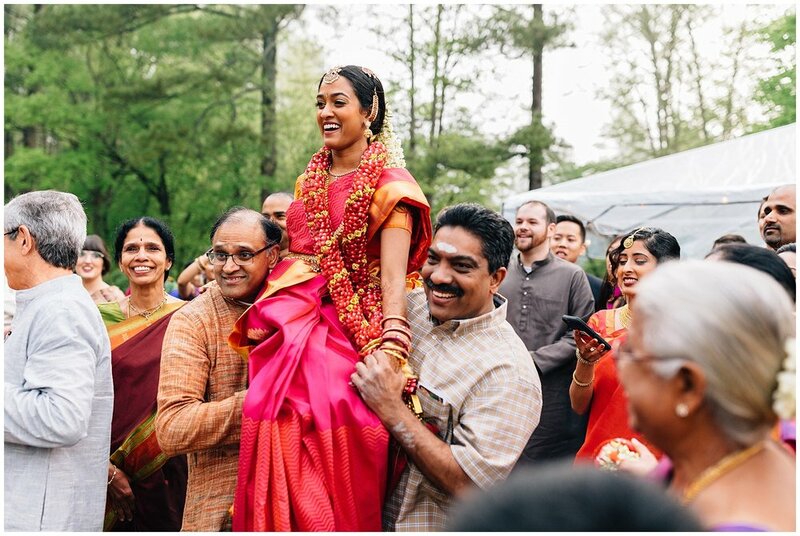 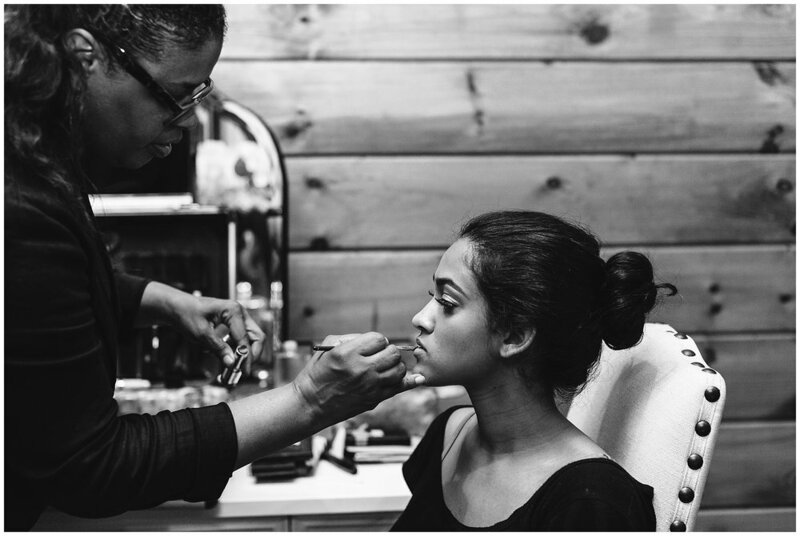 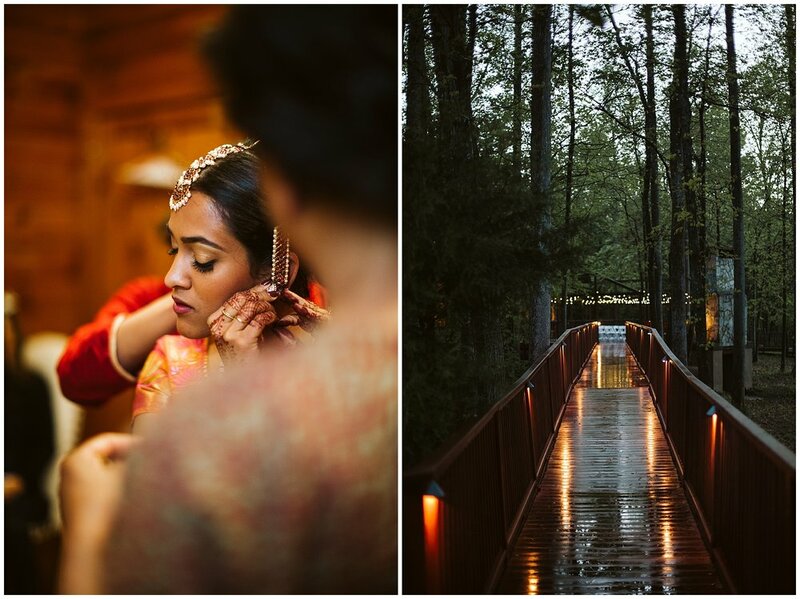 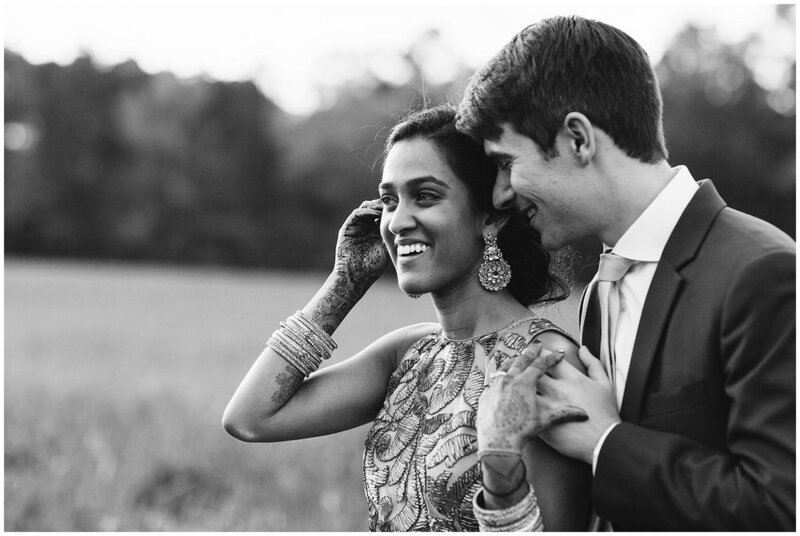 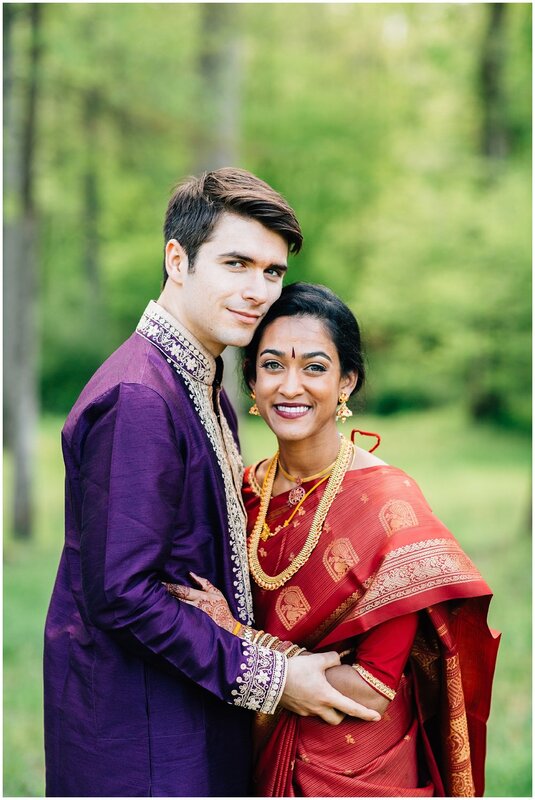 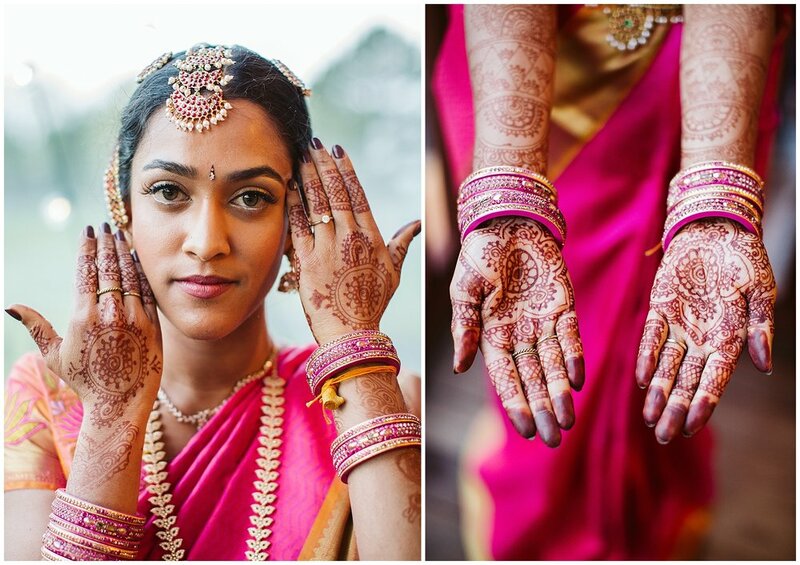 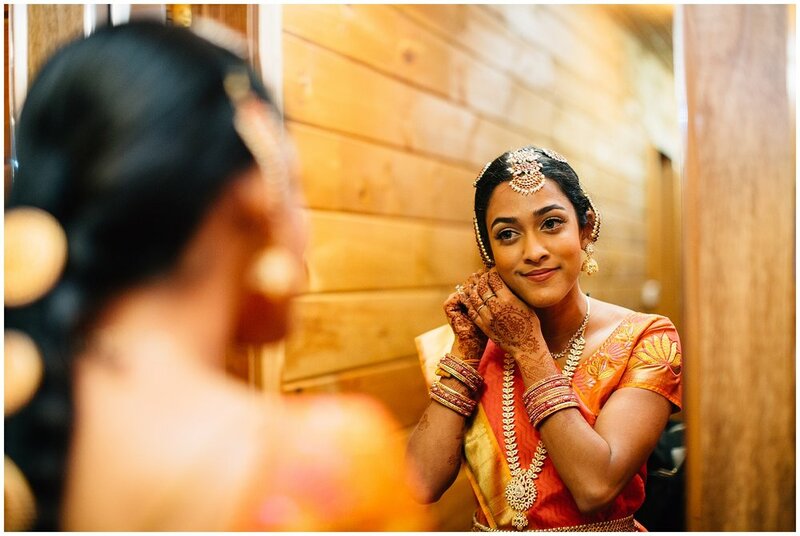 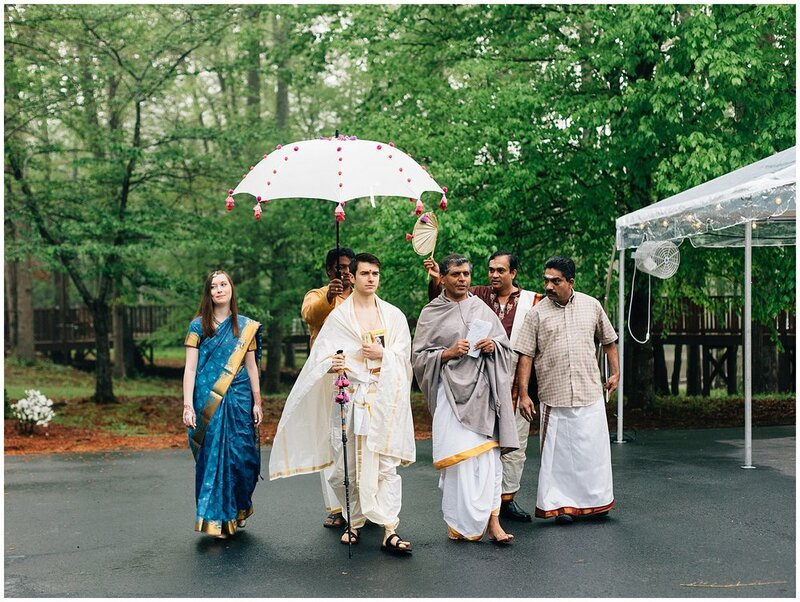 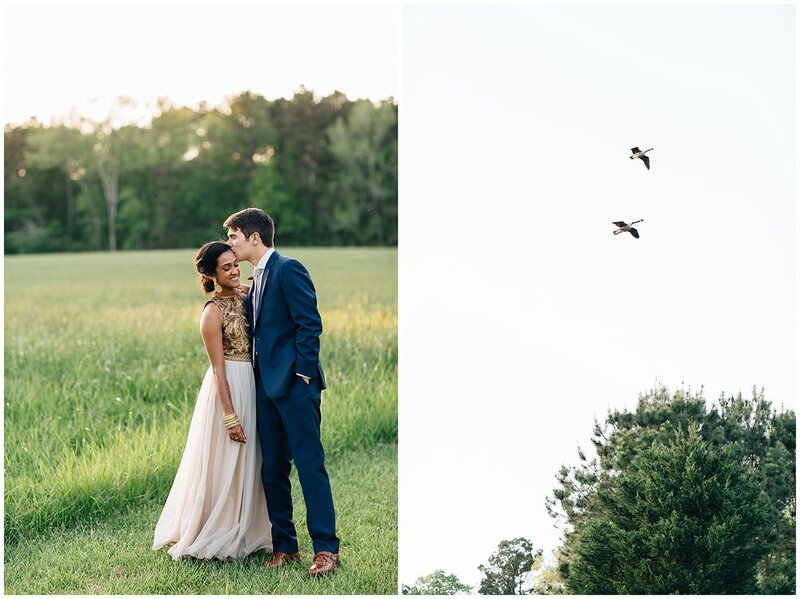 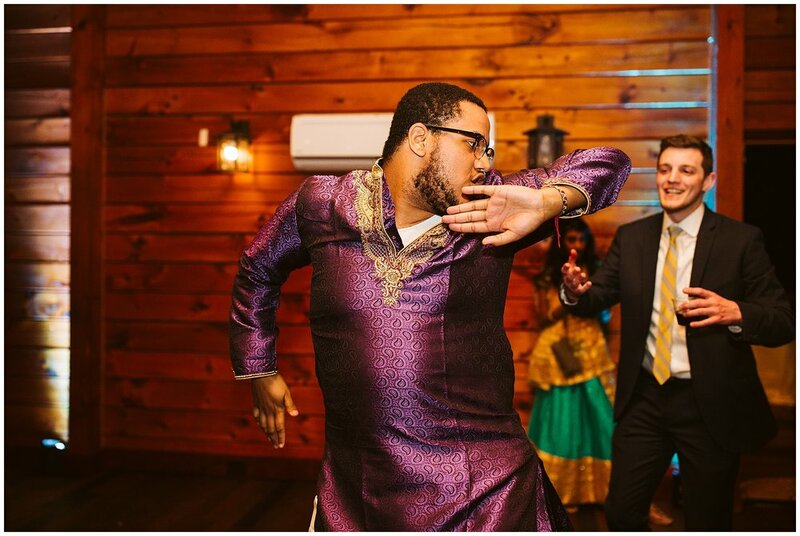 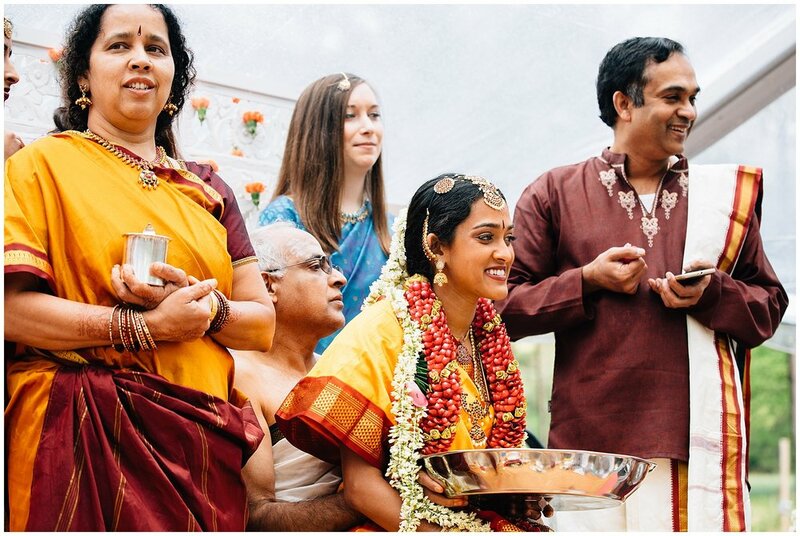 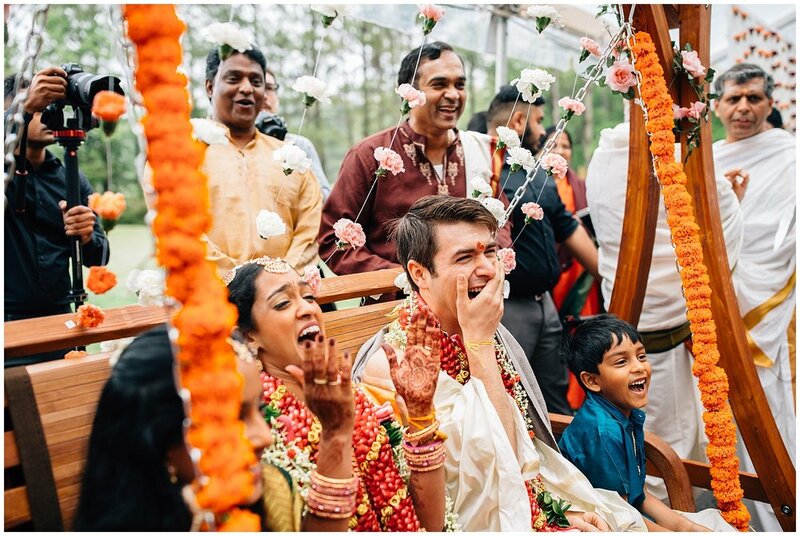 I spent a weekend documenting Ramya and Nathan’s amazing Indian Wedding at the Barn at Valhalla in Chapel Hill, and to say it was amazing barely does their wedding celebration justice. 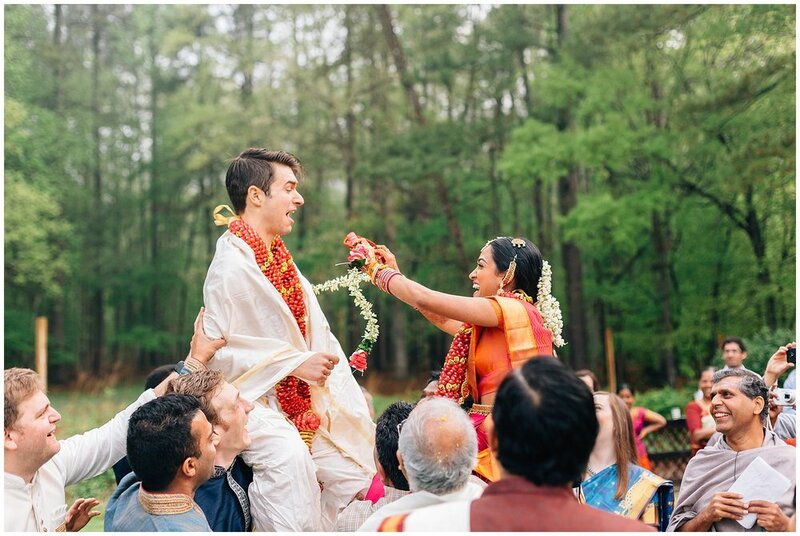 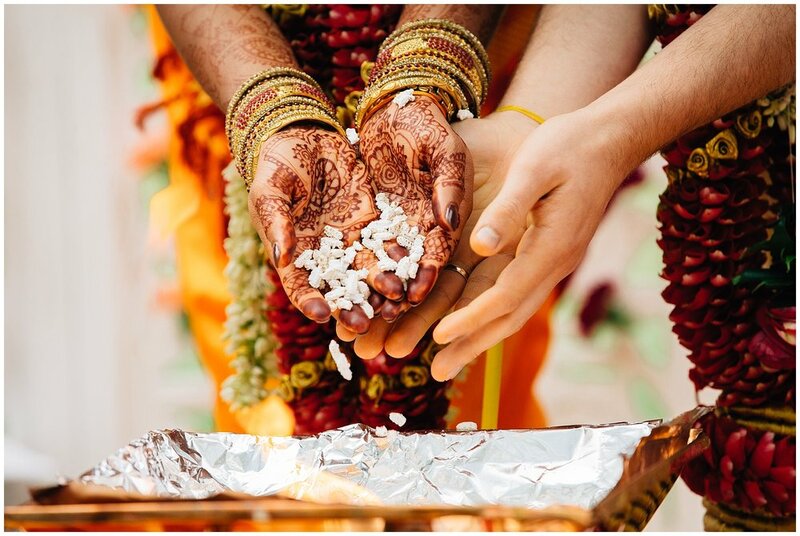 Their traditional Indian ceremony took place Friday morning at sunrise. 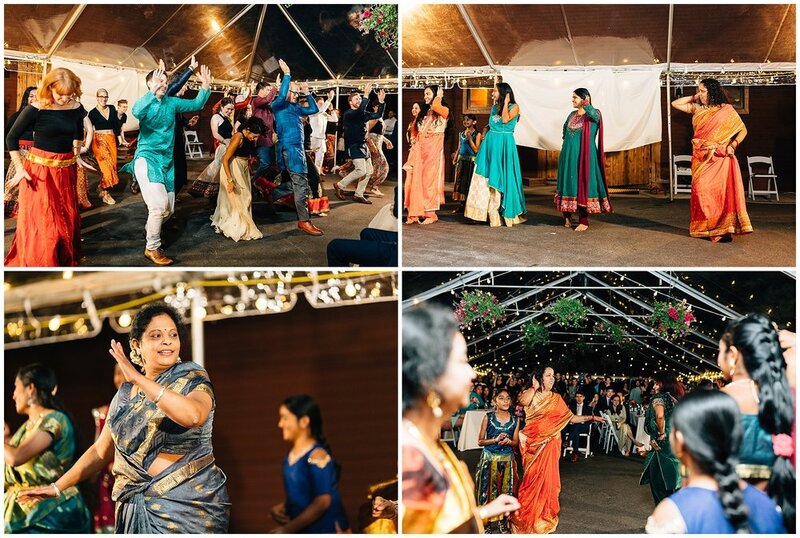 It was such a beautiful, joyful (and colorful) event. 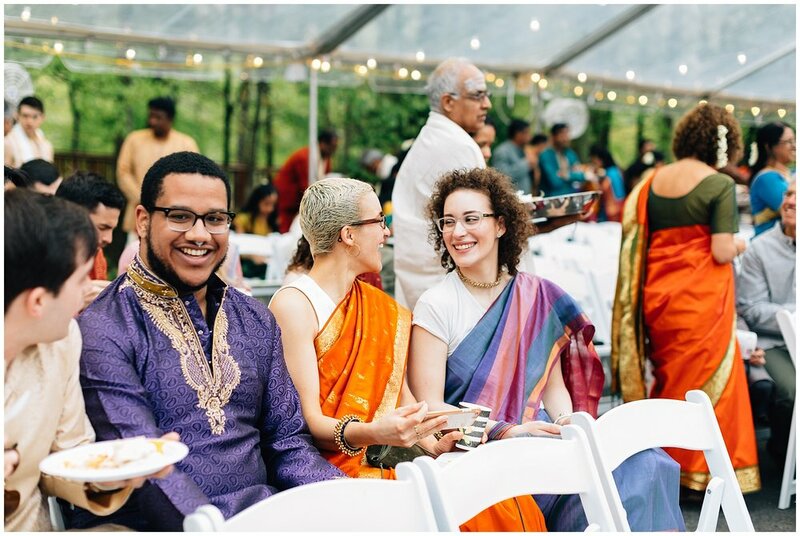 Afterwards they enjoyed a lunch, rested and prepared for the next days festivities. 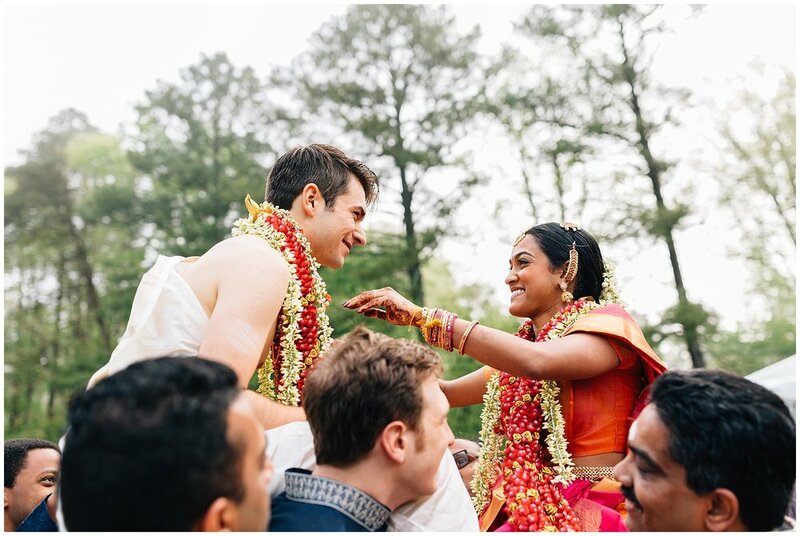 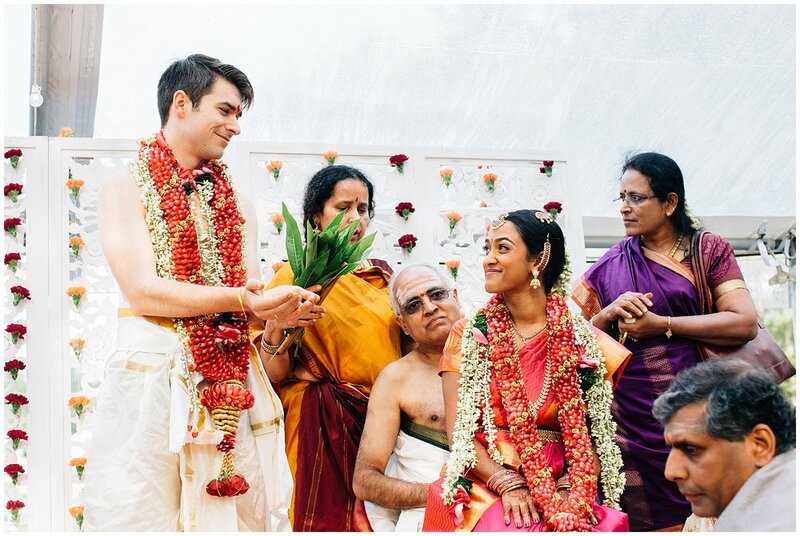 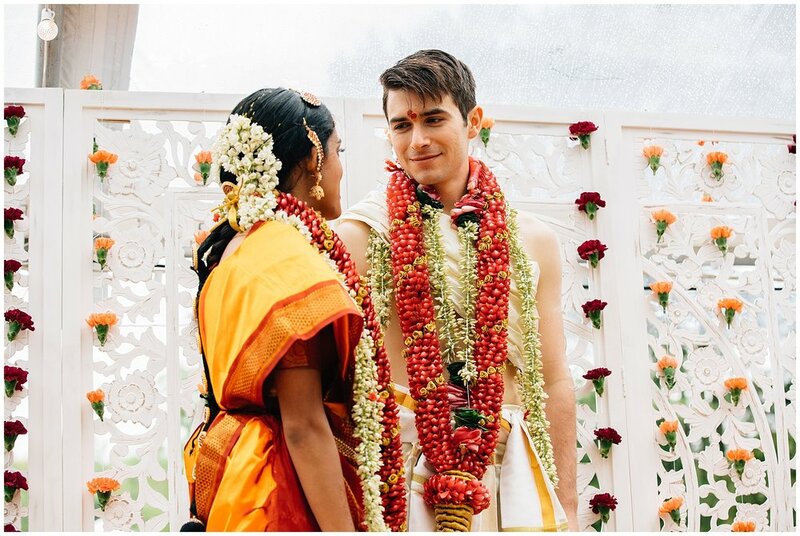 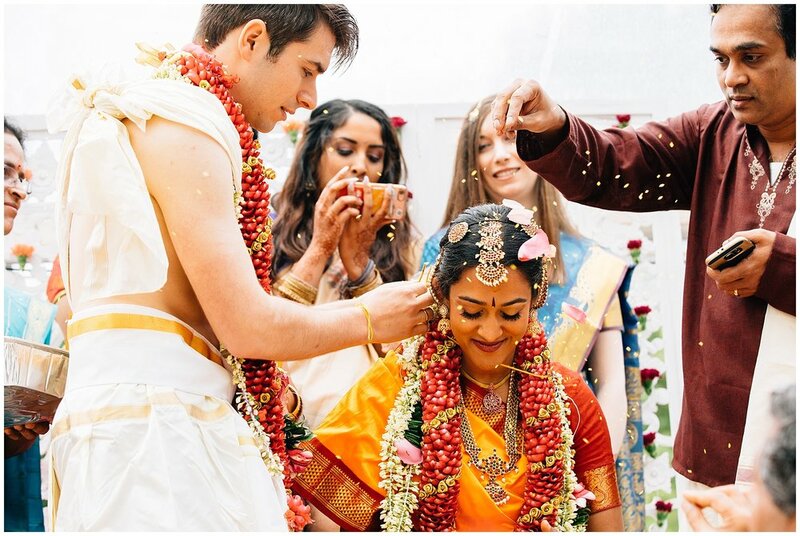 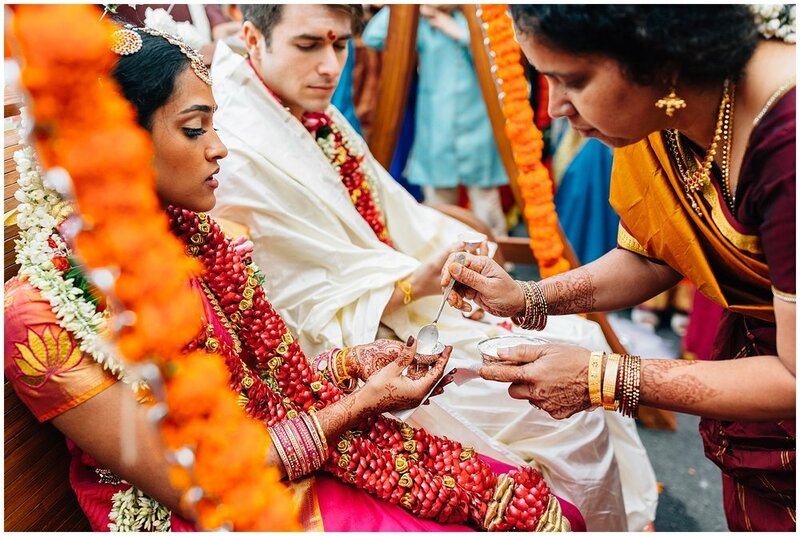 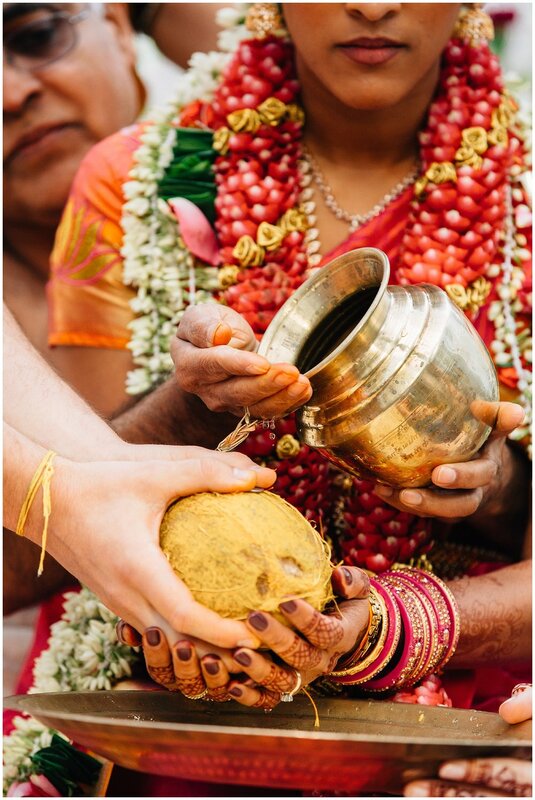 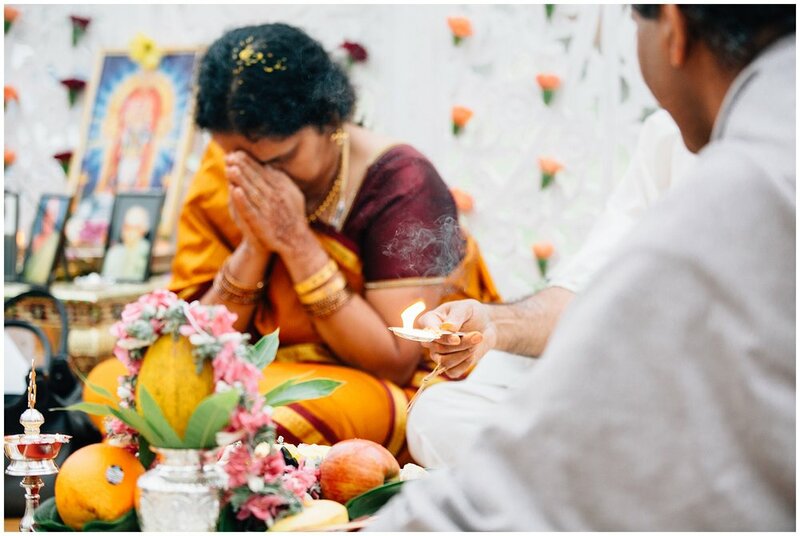 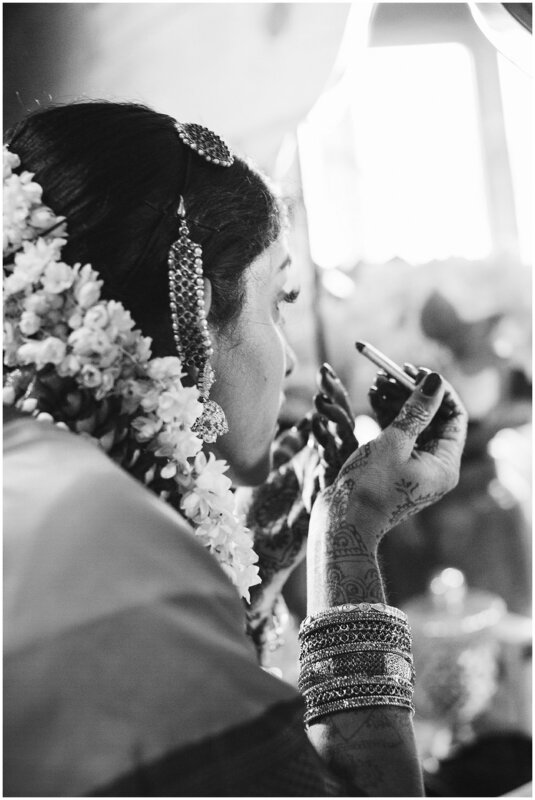 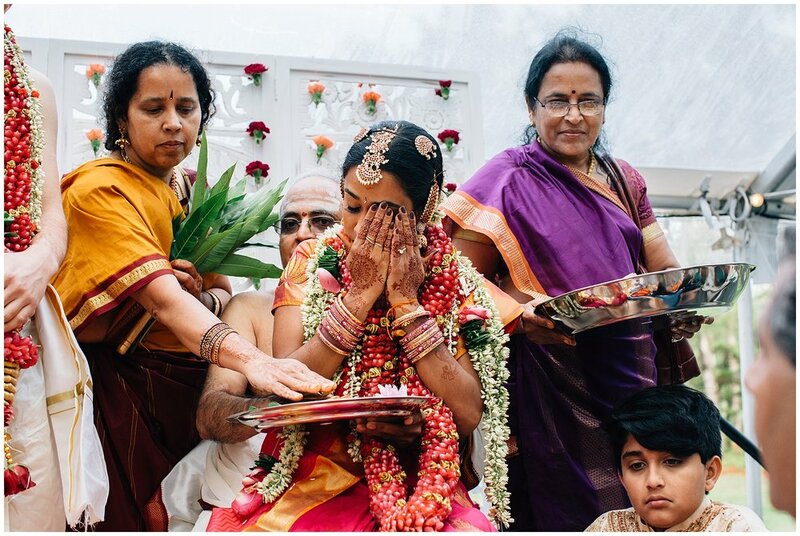 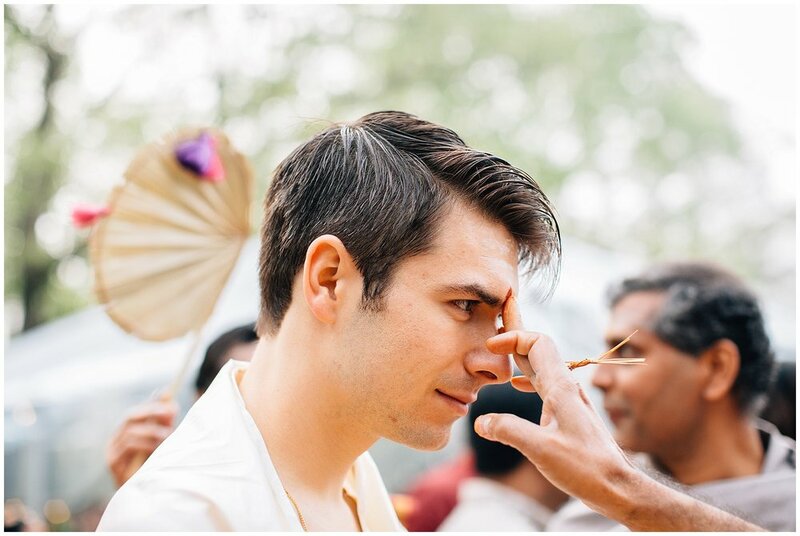 The next day started with a short ceremony in which Ramya and Nathan talked about their journey to find each other and their promises to one another for their marriage (let’s just say dry eyes were scarce once they were finished). 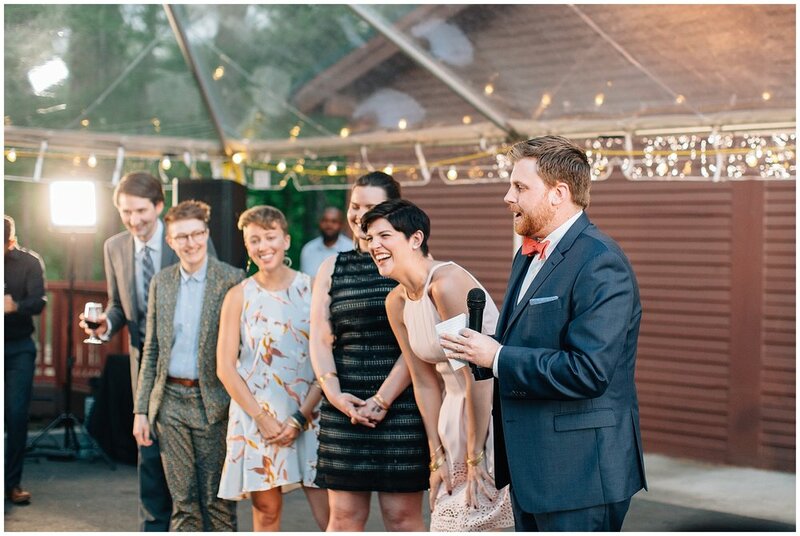 The reception afterwards was full of so much fun and laughter. 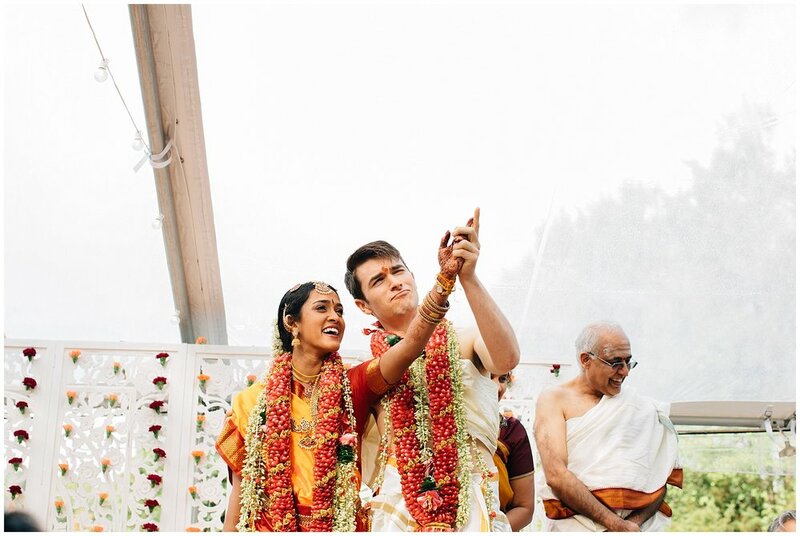 Ramya and Nathan, and then family and friends all took turns performing dances for the audience (Can everyone just do this at every wedding? 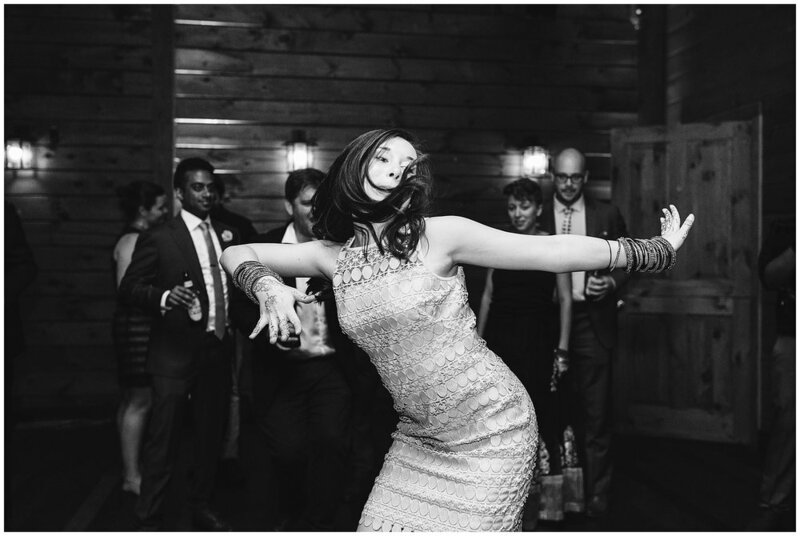 It was SO much fun!). 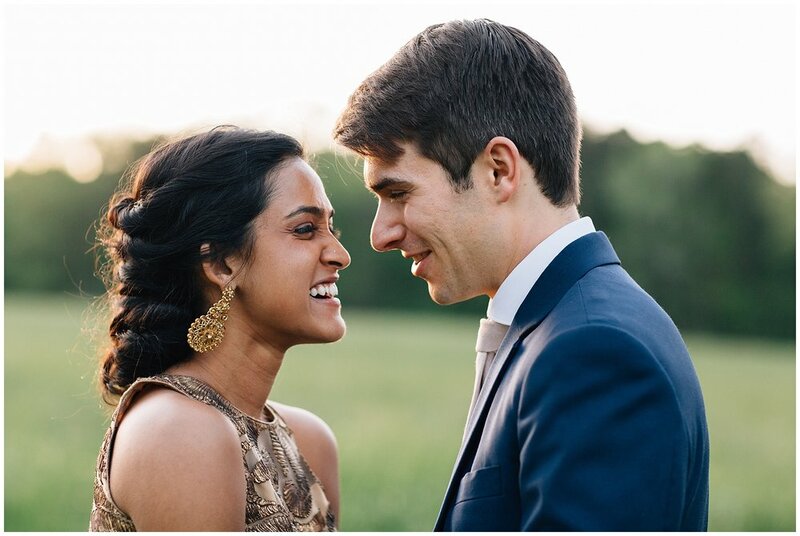 I tell all of my couples to really soak in their wedding day (or in this case, days), because it goes by even faster then they think it will. 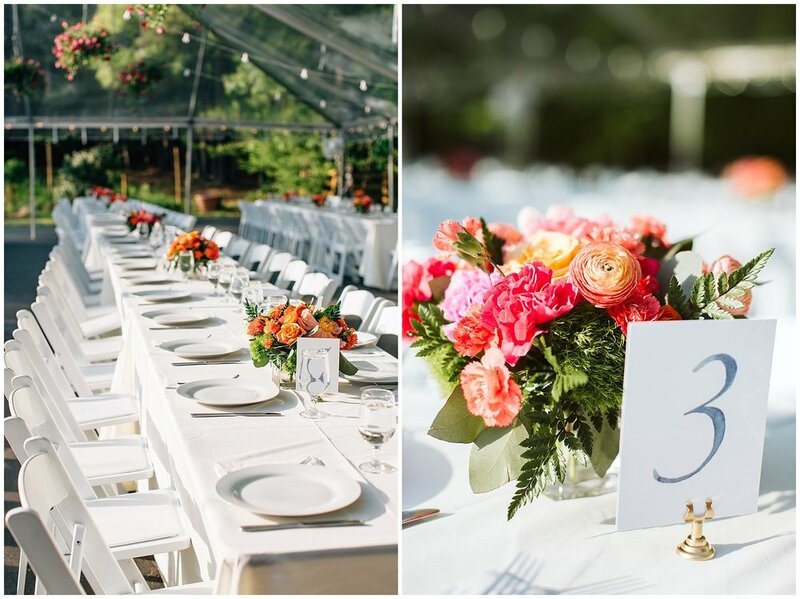 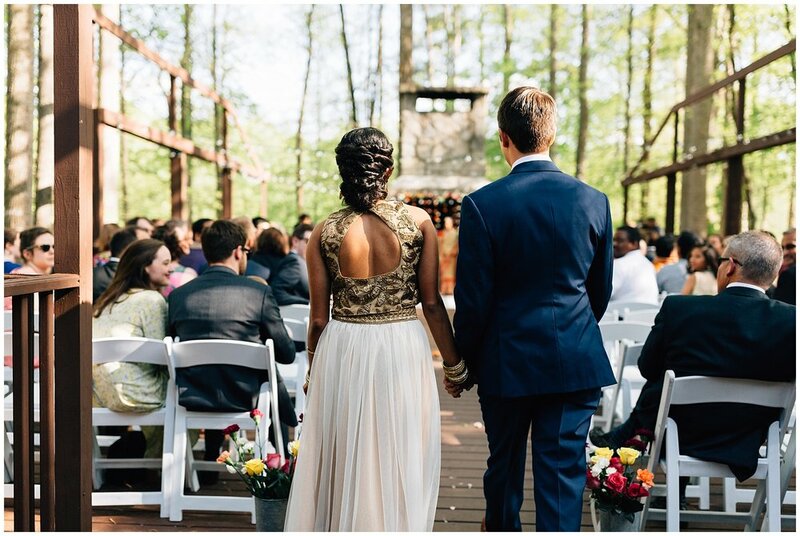 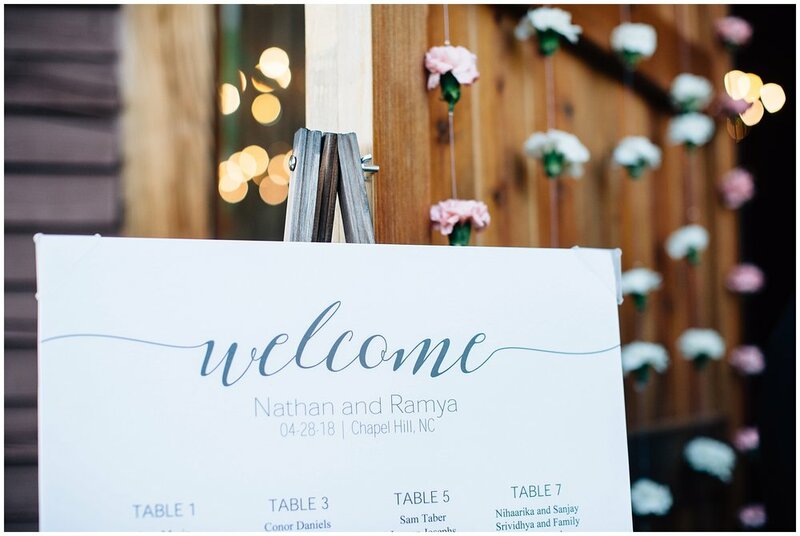 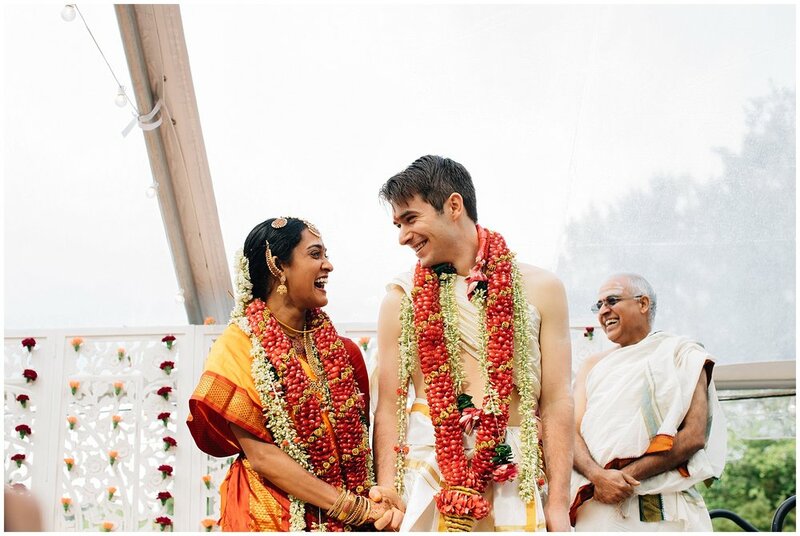 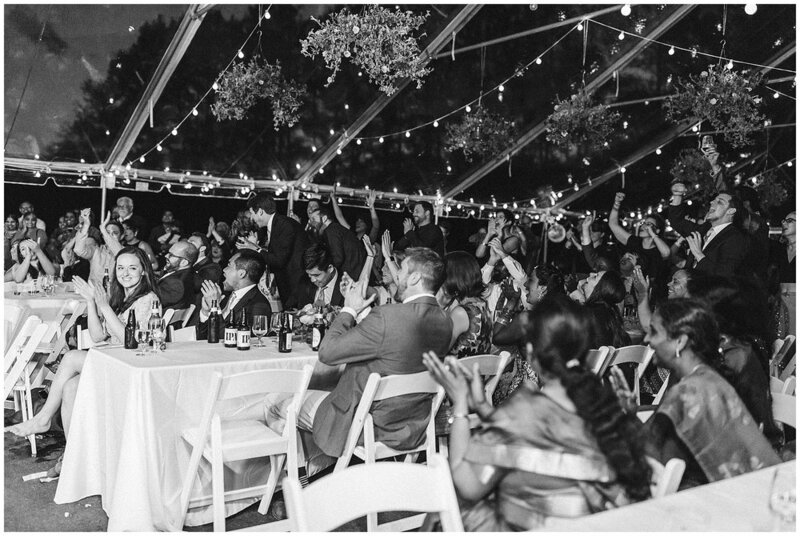 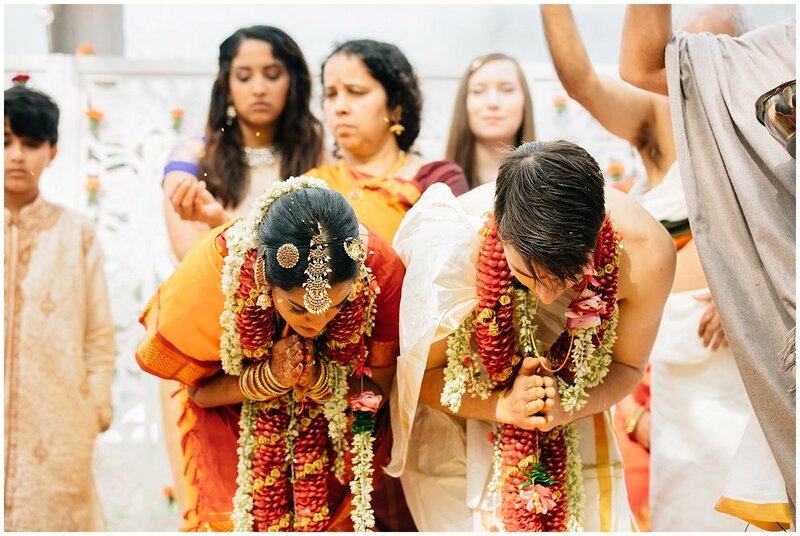 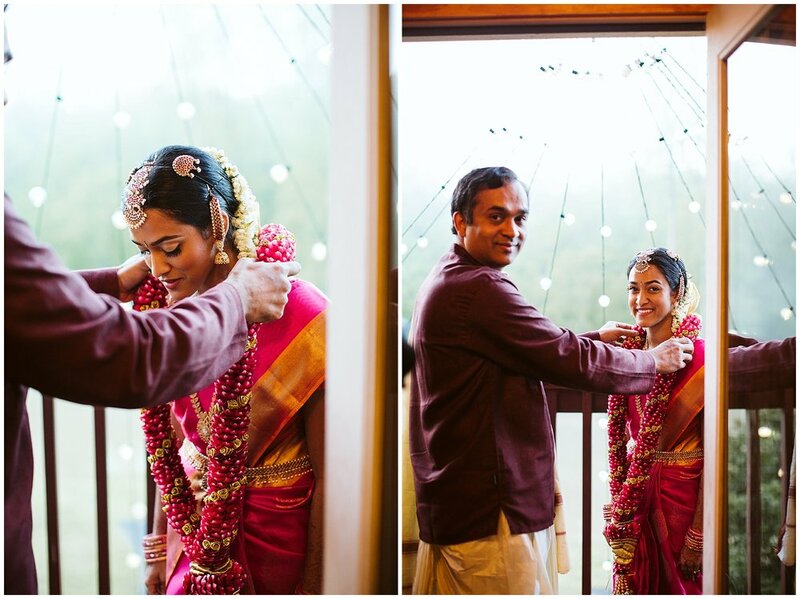 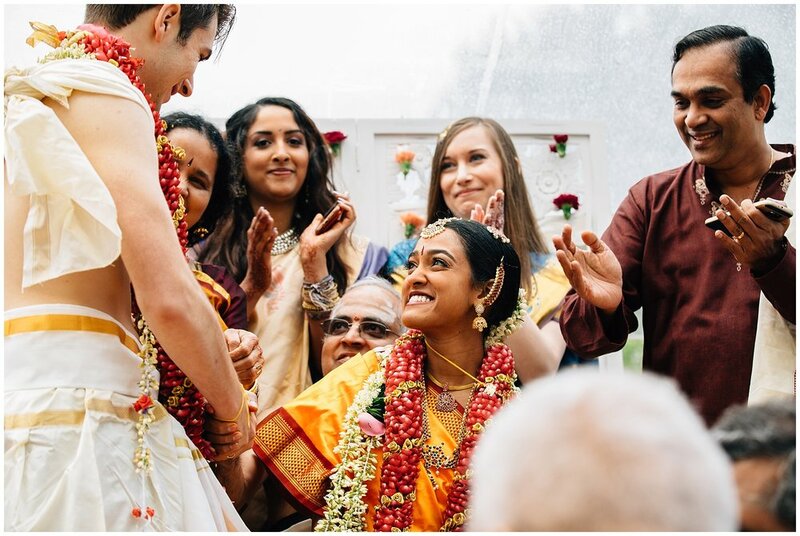 Ramya and Nathan definitely achieved this - Whenever they had a moment alone together I could tell they really were taking it all in and appreciating just how amazing this moment was; to have so many friends and family gathered together to celebrate the start of their marriage. 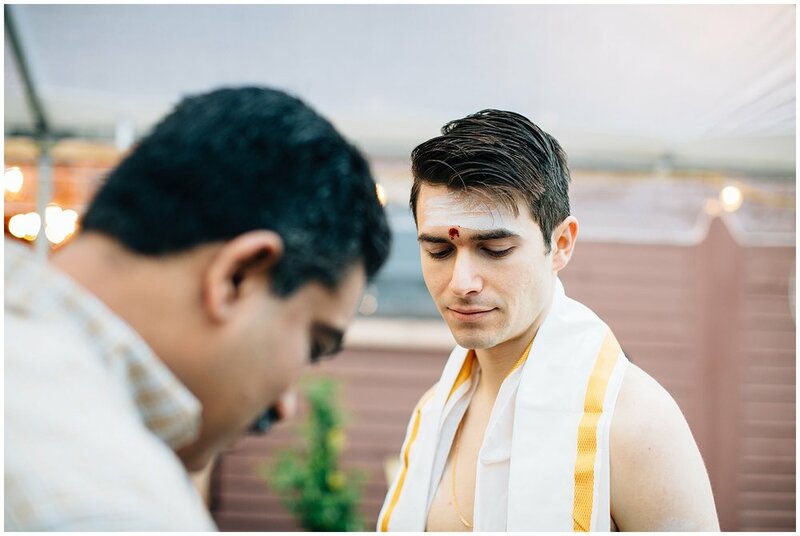 They even both took a moment together on Saturday to meditate and be present before the celebration began, and it was the perfect was to start the evening off. 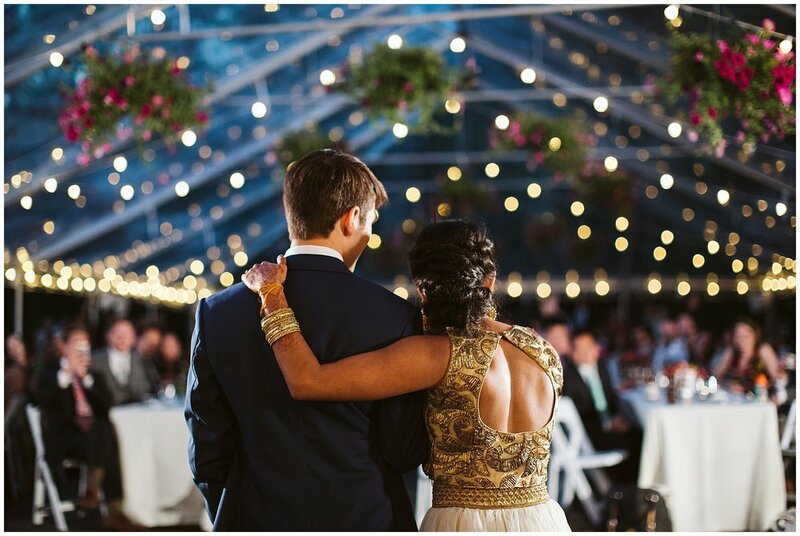 I wish the same calmness and presence of mind for all of my couples on what is always such a busy and exciting day. 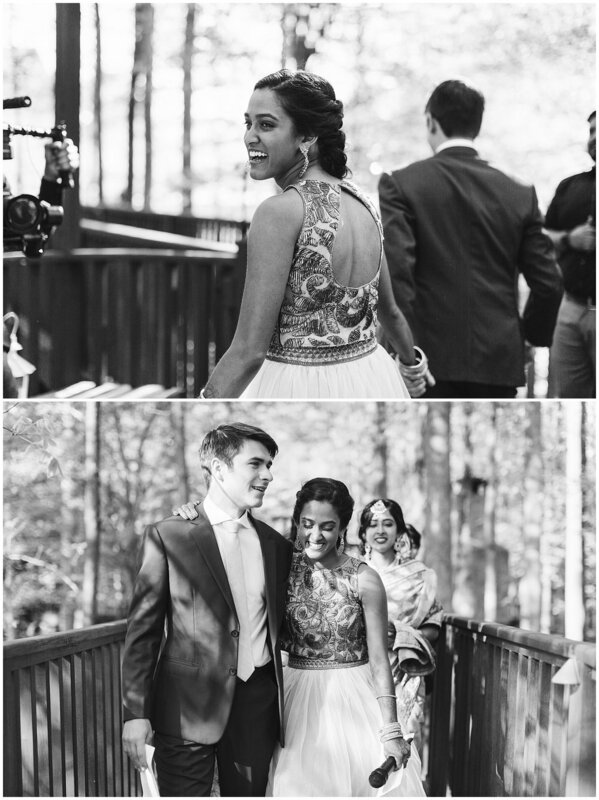 And a big thank you to Brent from Live View Studios for being my second photographer on Friday!